The Acadians are the family called ‘the Guise’ in present history books, though it appears to me that they called themselves the Angelle, the Anjou or the Angouleme. Tracing this name back, it originates from the word that we know as Andalusia. The oldest spelling of Andalusia that I’ve found is “Anda cavatorum Louis” (reference) . The reference here appears to be an underground walkway which was used to transport cargo from the Atlantic seacoast to the Mediterranean, though I’m still gathering evidence for that. 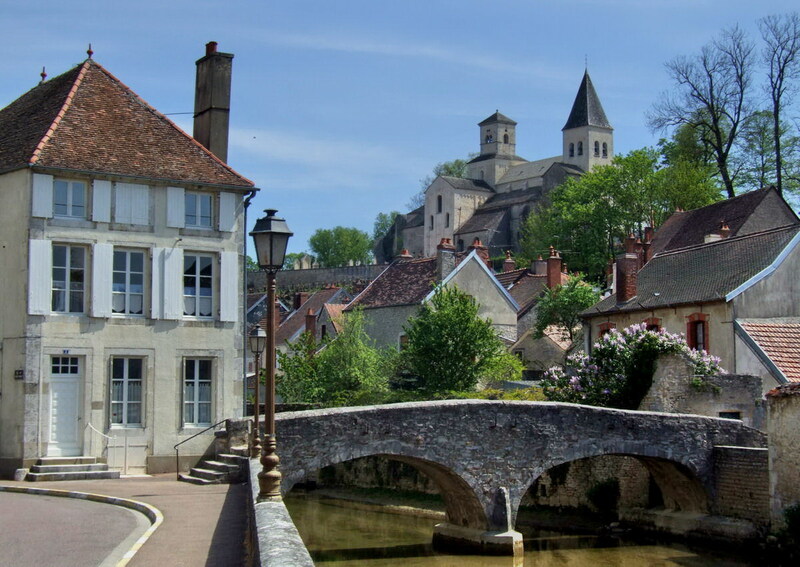 The name Louis derives from Levy, and the castle at this location is the one which gives us the name Bourbon. This area also has the earliest place names that reference the Blessed Virgin Mary, Mary Magdalene and the holy family. Mary is identified as a ‘sister of Aaron’ and therefore of the tribe of Levy through Aaron. These places are all located along the Pyrenees, in the very center part and the name spelling is Persian as are the best examples Andalusian architecture. This location is a gateway to the Western Isles that bypasses the pirate dangers of the straits of Gibraltar. This is the root of the word Angle from which we get the name England. The Angles were french speaking Christians and the Saxons were slave-trading pirates and pagans practicing magic and incantations. These two groups were enemies fighting over the same territory, never united. The emergence of Queen Elizabeth into power represents the emergence of Saxxon power, and this can be seen when looking at it from the point of view of Islamic history. The Saxxon (Sasson), Gomera (Mt. Gomery), and Al Hawari (Howard) tribes are described in detail in the Encyclopedia of Islam as slave traders, tricksters, and suppliers of mercenary troops to usurpers. The word Guise has its roots in the name Guillaume, because the Guise descend from William or Guillaume the Conqueror c. 1000 AD, who fought the Saxxons. Some of the root families can be traced to the Roman era and before. Claudius is generally acknowledged to be the first Roman emperor put into power, apparently against his will, by the Christian military rank and file. The name Claude is the same as Cole, so keeping these consonants in mind, you can trace this family through history, without needing to know every single generation. The name has roots in the word for mining of coal and tin in the Welsh regions where St. Joseph and Jesus were known to have lived and worked. The First Duke of Guise was Claude (1496-1550). His daughter, Antoinette, sponsored the Acadian settlement that traces to the sponsor Abraham du Gast de Coigny. These names are so old that the spelling varies greatly through time. We know them today as Dugas [pronounced doo-gah] and Duquesne [pronounced dukane]. His grandson was King Francois I, also called the Duke of Tuscany. Here is where the Berard family ties in through marriage and business alliance, only they are called the ‘Bardi’ or the ‘Medici’. This is the family that stays in the shadows, usually because the inheritance often passed through females. The female name Beatrix is often found in the family, the male name Hercules or Ercole is found. Notice the root of this name is Cole. In 1083, Etienne-Henri married Adele, the daughter of William I, the Conqueror (1066-1087) of England. Their son, Stephen of Blois became King of England. His son, Thibeau II/Thibodeaux (1125-1152) became heir to both Champagne and Blois, and held the title of King of Jerusalem. Thibodeaux received the title King of Jerusalem from his grandmother Adele’s family who was among the rulers of Delhi, India, Syria and Ethiopia and Yemen. This branch of the family is known as the Ayyubid Dynasty to the Arabs and includes the Prophet Muhammad who lived c. 550. This name is also found in British history of the time, with various spellings, often of very competent Queens who supported Christianity on the Islands. Thomas Berard 1256-1273, always mispelled ‘Bardi’, source name of the Medici family, descended from the Al Bizzi family. Also possibly derived from the Beja Tribe. From the name Fulani family of that tribe who were expert in the secret arts of weaving and dying, we get the word Fuller and a logical connection to the Medici as ‘cloth merchants’. William of Beaujeau 1273-1291, source name for the Boudreaux family, probably derived from the name Al Bizzi. Also possibly derived from the Beja Tribe. Theobald Gautier who left with a fleet of ships and the Templar “treasure” to go overseas c. 1300. The account that is reported has him leaving La Rochelle on October 13th, 1307. There remains today castle ruins located 18 miles from the notorious Oak Island. Atop the highest hill at New Ross, Nova Scotia is a site where what remains are large boulders incorporated into the walls. This building style is typical of Norman churches in Britain wher the large and irregular boulders are embedded up to about the thirteenth century, but not often afterward. This detail suggested to Michael Bradley that the ruin could be Norse or North Scots, dating from teh thirteenth century or earlier. Bradley notes tha tthe ruin could even date from teh end of the fourteenth centruy if the builders were concerned only with making a rough “keep” or hill-fort. Reference page 43 templars. After Bradley published this information, a Masonic Lodge was constructed across the street from the ruins. Castles in Nova Scotia are drawn on maps as early as the Zeno Map, which shows two castles separated by a river at 62-63 degrees latitude. This map was in use until 1574. He instituted a regular yearly cycle of market fairs for the trade of staple goods and luxury items, the famous Fairs of Champagne, the Silk Road, and Christian banking with Knights Templar protection for merchants worldwide. Thibodeaux and his family commissioned Chretien de Troyes to write the King Arthur stories. They hired professional musicians and developed musical notation, harmonies and new instruments. They encouraged many large merchant families of Italy and Northern Europe to establish branch houses and guilds for training weavers, metal workers and other arts in the county. King Thibodeaux’s family are called the Angevin [French version of the word that has become ‘Angle’ as in ‘Anglo’] or the Guise [from William or Guillaume the Conqueror]. According to many historians, they excelled and prospered longer than any dynasty, not always as Kings but always as family and supporters on whom the King depended. What gave them their survival advantage were qualities such as: A strong family orientation and large extensive family intermarriages which provided work and advancement opportunities to younger relatives. They rescued each other from trouble, worked together in a cooperative manner, left detailed records of examples of these and sponsored the first successful Catholic settlements worldwide which Drake the English Pirate destroyed and robbed before the end of the year 1600 AD. 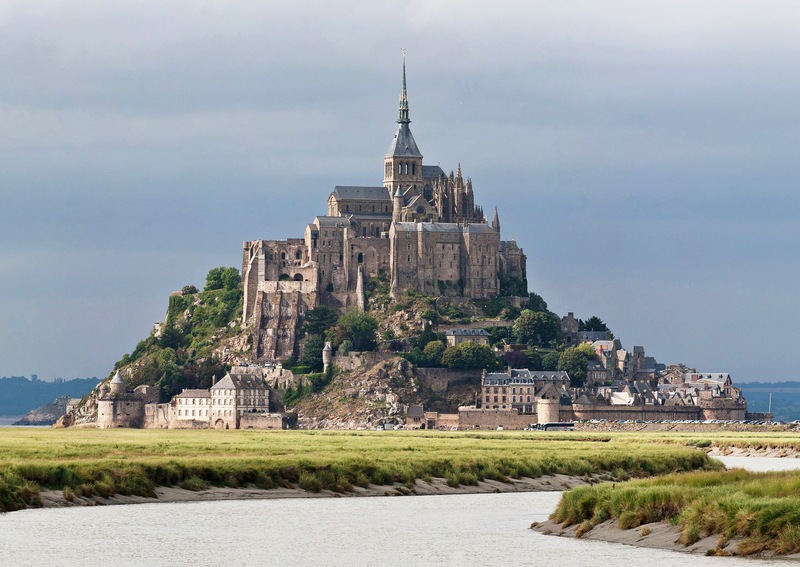 Historians have ignored these early settlements in order to glorify England and Protestantism, and to pretend that the New World was never pioneered by French Catholics. Early military training, early religious training, and early academic training were provided by a strongly traditional Catholic Christian establishment which they themselves held and controlled within their own family; all of this created a strong society determined to live a Christian life. They were able to do this because they were the actual and true descendants of the first Christians. It was their and our own ancestors who had donated the land and buildings to the church which had been transformed into highty productive monasteries and convents. The long survival rate of these Catholic institutions was due to the closely held family nature of church property. It was not until the children of mistresses were given church property that large scale corruption entered in. Until that time, periodic reformations were made to correct errors. The rumor mill that goes for history today of course makes no distinction between the two types of families. Unless one knows the difference between the legitimate descendants of the Nobility and those who are descendants of mistresses, it would be impossible to make sense of history. The descendants of King Thibeau II also maintained strict rules of succession to all of the government offices that they maintained, including the church and military. The family of the Queen took top positions within the Church. The brother of the King took top positions of the military. These ancestors of ours laid great emphasis on learning and mastering a skill. The rules for transition of power were precise, yet flexible when necessity demanded, and for many generations the society maintained Christian homogeneity and peace. Many important texts on these subjects still exist. Reading these early Christian documents, one comes to realize just how well run society was at the time which we are told was ‘Feudal’. The irony of equating feudalism with slavery in the minds of young school children is not lost on this researcher. It was precisely the slave merchants that spurred the solution which we call Feudalism, a wonderfully cooperative, voluntary and honorable way to live, not to mention the safety it offers from slave merchants and raiders. The early Christians were instrumental in diminishing the slave trade. The large number of advances in many fields are attested by the many documents written under the sponsorship of King Thibodeaux and his extended progeny. There are documents which attest to the successful and peaceful trade that existed, but also there were great advances in agriculture, medicine and banking. Surviving texts can be found in any of the languages taught at the universities in France at that time. In other words, just because a text comes down to us written in Arabic, doesn’t mean that a French or even a Scottish man or woman didn’t write it. The convents were excellent havens for scholarly women and we still have many of their works. The willingness to sacrifice for the sake of honor or righteousness has been a quality of the ‘Guise’ which some consider out-dated and suicidal. On the contrary, the Acadian communities, which are one of many concentrations of the descendants of the Guise, are shown to be some of the most functional and successful small towns and cities in America. Even with the constant disruption caused by our psychopathic Federal Khazarian Government, South Louisiana managed to be one of the last sane places to live in America. The Three Musketeers’ motto, ‘One for All and All for One’ was the Guise motto. Individualism is not a good survival mechanism. It leaves one open to attack and having no defense, so that one soon succumbs. Perhaps this is why individualism is part of the identity that America’s rulers like to paint us with. True unity of the people would be dangerous to illegitimate ruler-ship.